Pressure to cut carbon emissions and energy use is mounting,with many businesses now setting targets to reduce fuel consumption and minimise costs. 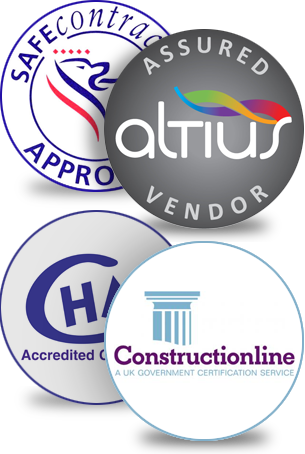 BCS (Building Controls Specialists Ltd) is dedicated to helping clients do just that, providing a full range of building energy management services and HVAC (heating, ventilation and air conditioning) controls designed to maximise energy efﬁciency in the workplace. BCS supplies, installs and commissions BMS systems, alongside high quality support and HVAC controls solutions, with extensive experience across many different industries. Centrally based at Lutterworth, Leicestershire, close to motorway links, BCS is ideally located to serve clients throughout the Midlands and beyond. We offer 24-hour service, 365 days of the year, from a highly skilled team of engineering specialists dedicated to ensuring you always receive support you need. Building Controls Specialists are known for their experienced and knowlegeable staff. We are not the biggest BMS Company in the industry; however our experts will ensure you get the best possible results, with a level of dedication and commitment that you may not receive from a larger provider.